Before we jump into what all this means, let’s take a quick walk down memory lane. Halo: The Master Chief Collection (“MCC”) launched for Xbox One back in 2014 and offered four complete game experiences in one handy package. Soon thereafter, Halo 3: ODST’s campaign was added, rounding out the ultimate collection of classic Halo game content. Over the past year, the team at 343 Industries has been working on updating and enhancing MCC in close partnership with the community. Through months of public flighting and player feedback, MCC has grown and evolved into an entirely different product with improved and modernized matchmaking and services, support for 4K/HDR, offline LAN, better controls and input customization, and more. Last September, the enhanced and improved MCC landed on Xbox Game Pass and gave a whole new audience a way to experience Master Chief’s saga (or for existing fans, a way to relive those classics like never before). 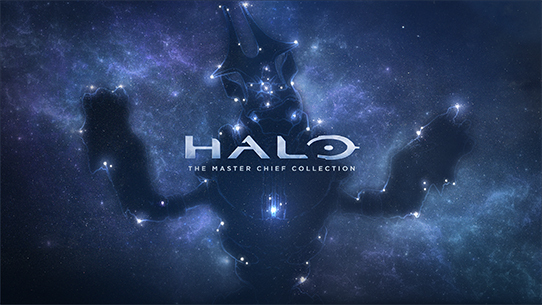 All of this work, along with the support of the community, was instrumental in not only reinvigorating MCC, but laying the foundation to take the next step and bring it all to PC in a way that honors both the Chief’s legendary journey — and the PC features and conventions that players wanted to see Halo take advantage of. Along with “bring MCC to PC!” the next loudest refrain from Halo fans has been to “add Reach to MCC!” and we’re excited to make good on both requests later this year. As part of MCC, the prequel to Halo: Combat Evolved looks and plays better than ever and will arrive in slightly different ways depending on your platform of choice. MCC’s “Intelligent Delivery” feature on Xbox One allows players to pick and choose to install campaign and/or multiplayer content and Reach will be offered in the same way. On Xbox One specifically, Halo: Reach’s multiplayer content (which includes Forge and the Theater) will be automatically included for everyone who owns MCC while Halo: Reach’s Campaign and Firefight experiences will be offered together as a premium digital add-on. Xbox Game Pass subscribers will have access to the entirety of Halo: Reach within MCC as part of their subscription. Just like the rest of the titles in MCC, Halo: Reach is silky-smooth at 60FPS and visually stunning in 4K/HDR on compatible hardware. Bringing all these classic games together and integrating the huge matrix of features and experiences PC gamers and Halo fans deserve and expect is a monumental undertaking. 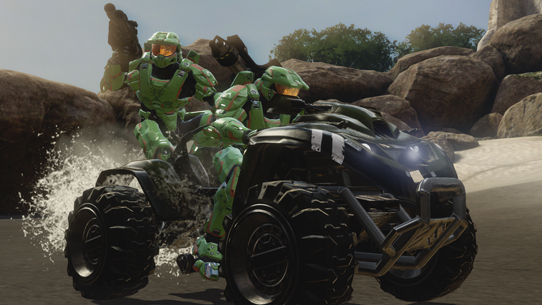 It’s no secret that the bulk of the team of 343 Industries is hard at work realizing the future of the franchise with Halo Infinite so the same amazing Publishing Team who diligently brought all the recent improvements and updates to MCC over the last year has invited a few friends to help us achieve victory. The experienced and passionate folks at Splash Damage and Ruffian are partnering with us to help make this dream a reality. Last year we looked to the community to partner and help us update and improve the original MCC, and we’ll be doing the same again this year for this ambitious project. We'll be sharing more information on how players can get involved during the HCS Invitational broadcast this coming Sunday, March 17, live from SXSW. You can find more information about this unique three-day event and the full schedule HERE. 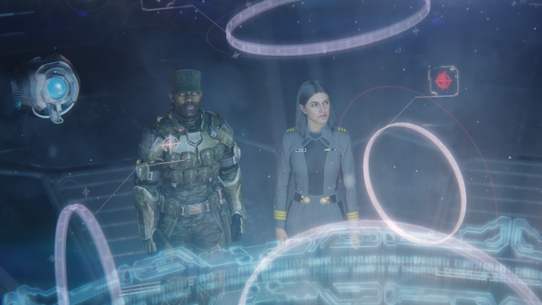 Additionally, we know many of you will have questions, so stay tuned to Halo Waypoint – we’ll have plenty more to say, share, and show on the road to release. The team at 343 Industries, along with our partners at Splash Damage and Ruffian, are already hard at work and we can’t wait to bring the community along on this journey. On behalf of the entire 343 Industries team, thank you to everyone who’s continued to play and support Halo and MCC and for not giving up on the dream of one day enjoying these great experiences on a PC.